Afternoon sunlight lights up the line and the surrounding riparian environment. 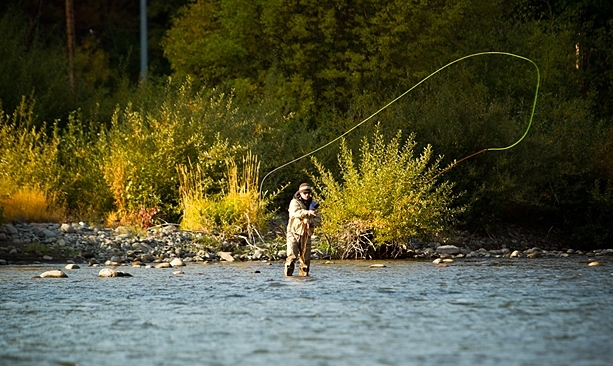 Fleece, waders and Gore-Tex are essential for braving the fall and winter waters of the Hood. The waters north of the trestle near downtown Hood River are populated with many winter steelheaders. 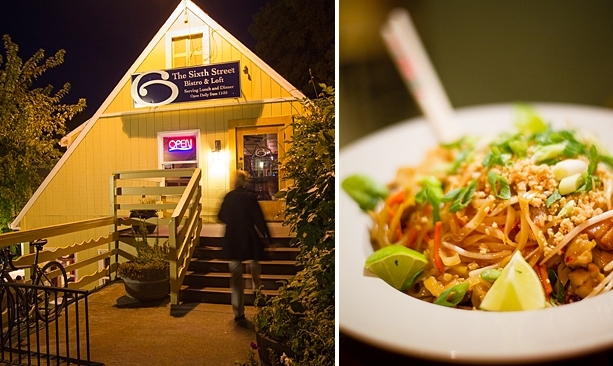 Casual and friendly, Sixth Street Bistro is a favorite with locals and fishermen. I know I’m not alone when I confess that I have a love/hate relationship with the Hood River. What I love about the river is the opportunity to catch a chrome-bright steelhead from its swift and turbid waters nearly any month of the year. But fresh steelhead prove especially appealing in winter. 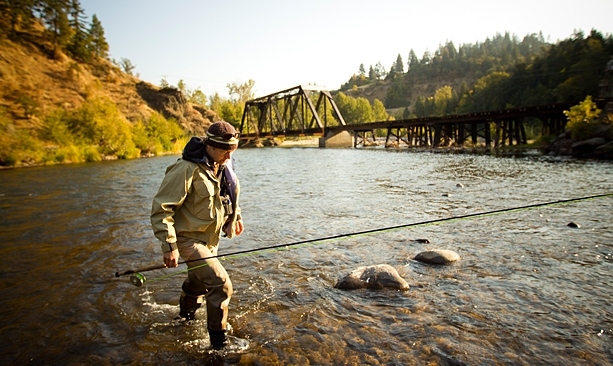 Any farther east of Hood River and you’re casting for what are actually summer-run steelhead, fish that entered the Columbia River months before, growing dark and dour in winter while still awaiting the spawning call, sad replicas of their former selves. Lower on the Columbia River and up and down the Coast, countless rivers enjoy true winter-run steelhead. 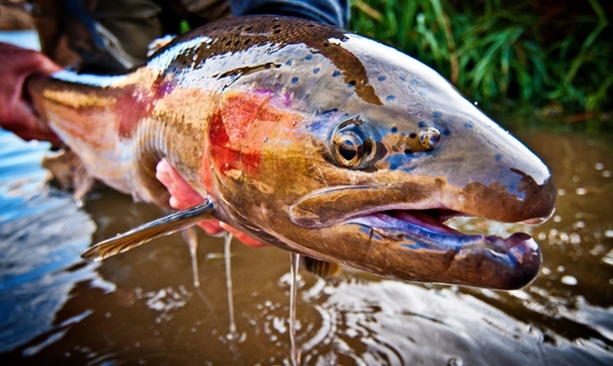 The fish arrive with Oregon’s autumn rains and climb the swollen rivers, ready to spawn. Fresh fish, in the vernacular, are both bright and hot. Hence my love of winter on the Hood — a river that spills into the Columbia not five minutes from home and carries these winter fish. The Hood and I go back a ways. I’ve followed its creased and sometimes shape-shifting course from near the river mouth, below the I-84 bridge, all the way up to the old angling boundary where Copper Dam once stood. Along this route, I can note one run after another where I’ve hooked and landed steelhead. My home river for the past dozen years, the Hood has played a telling role in my careers as both a fly fisher and a writer, showing up under a host of aliases in my fiction, essays and magazine articles about the fly fisher’s craft. Little wonder I’m so fond of the Hood. Less apparent are the reasons I harbor my fair share of ill will toward the river as well. Let me be frank: For the ardent fly angler, especially those seeking winter steelhead, the Hood River can be an absolute heartbreak. It’s not the walk that’s the problem. 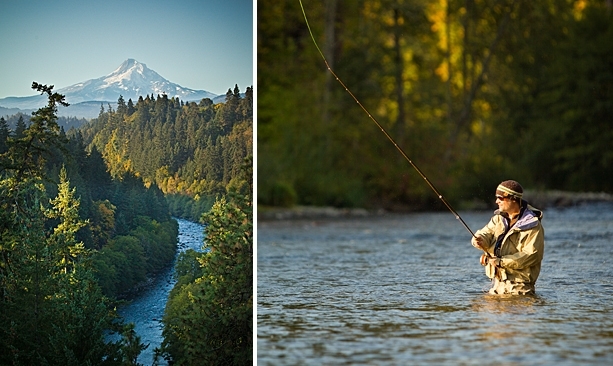 Steep and boulder-strewn between its popular and well-known lies, the Hood River must be fished exclusively on foot. Access points make for pleasant hikes into the river canyon and through vigorous stands of riparian woods. The floor of the canyon offers a contiguous wildlife corridor from near the confluence with the Columbia River to remote reaches high in the watershed. In waders, fleece and Gore-Tex, I make ready use of the riverside trails and catwalk atop the old diversion pipeline, searching for open water to swing a fly. But I don’t expect to catch fish. That’s a sad admission, but true. Of course, all winter steelheading with a fly rod is difficult. Show up on any Northwest river in winter and chances are you’ll get skunked — to be precise, skunked and cold. Fish for a week and you won’t surprise any fellow anglers should you report you failed to catch a thing. You tell yourself it’s good to get out: fresh air, fine scenery, a bracing wade in a stern, cold river. Nobody actually believes any of this. It’s the talk generally made by fly fishers who’ve never hooked a true winter steelhead in the first place. And it’s the first one that ruins you. After that, a hundred — as the song says — ain’t enough. Still, it’s hard not to become a fatalist. Every winter I return to the Hood with new ideas, a fresh stash of can’t-miss flies, refined grain weights and tapers for my Spey rod lines, a clever cast I’ve been working on. And every winter I do about the same. A lot of casts. A lot of frosty dawns and biting winds. Now and then, a steelhead ends up on my line, going bonkers against a backdrop of pale alders or cottonwoods or the pumpkin-colored trunks of ponderosa pines. Best not go there. Steelheaders, like writers, cling to the belief that with enough thought and enough practice, they can one day master the challenges they love. At least I have, even though my experience on the Hood River has taught me exactly the opposite, leaving me free to aim for nothing more — nor less — than graceful casts that swim my fly through familiar winter waters. Prone to chew on life’s big questions, winter steelheaders can leave the river and continue their musings at the Sixth Street Bistro on the corner of 6th Street and Cascade Avenue in downtown Hood River. Casual enough to enter in your wading fleece, the restaurant offers just the right combination of intriguing dishes at fair prices — along with locally crafted beer — to help any fly fisher face his or her own philosophical drifts. Phad-Thai, red curry, a fairly gnarly bacon-and-blue-cheese burger I often graze from the appetizer menu. Ordered during happy hour, a couple of these starters satisfy the need for both refinement and dirtbag economizing that so many wandering steelheaders search for along with their elusive prey. 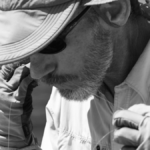 Scott Sadil writes about fly fishing for the sport’s best magazines. His collection of fiction, "Lost in Wyoming," was a finalist for the 2011 Ken Kesey Oregon Book Award in fiction. He lives in Hood River with the new love of his life, Tia, a wooden Swampscott dory.